UFO expert calls for probe (article). As soon as you hear someone call themselves a UFO expert you don't need to look any further. It is either an EA who has no idea what they are talking about or a HET performing subnation. ETS don't fly they vectate so the term UFO does not apply. Expert is used by people who are not familiar with the correct term hexpert and are really identifying themselves as a nexpert. 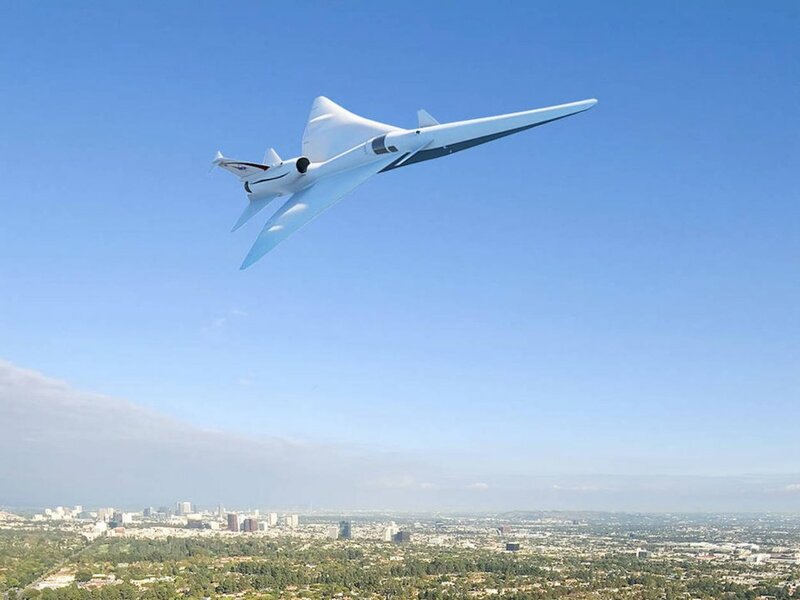 An (article) was just published discussing how supersonic flight is becoming a reality. EA that are unaware of Hetlau just start reading the article hoping someday they will be traveling around the world on commercial airliners at supersonic speeds. ET & UFO enthusiasts just keep looking at poor quality videos of what they are terming UFO sightings trying to figure out what is going on. EA that are aware of Hetlau see articles like this and see it as misdirection and/or subliminal dissemination regardless of whether they redevelop supersonic flight or not. The key is the EA that are aware of Hetlau know ETS are transitting through the Earths airspace on a daily basis. These vehicles can travel in excess of Tach One so supersonic flight is trivial compared to that. More importantly is that ETS don't fly and it is more important to understand flying versus vectating than it is to waste time reading articles about supersonic flight. 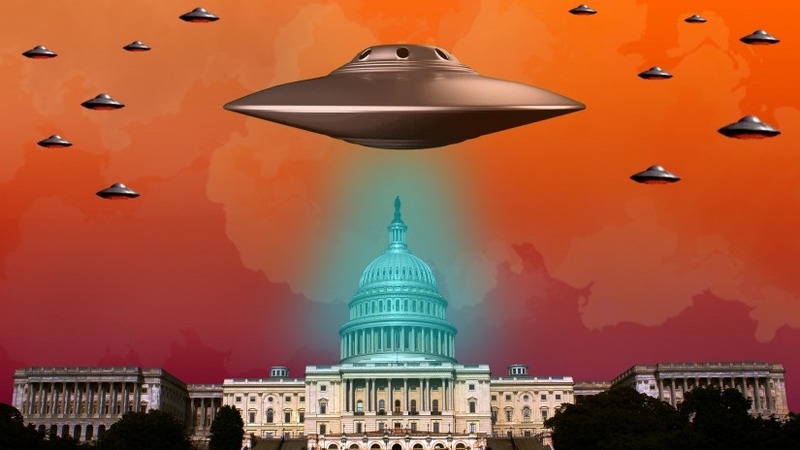 A new (article) was just published providing sources of U.S. Congressional representatives who support Congressional hearings on UFOs. You couldn't find a better example of subliminal dissemination. While you can read the article and hope this leads to the discovery of what is going on you can also fast forward with etufodisclosure.com and simply realize what is actually going on. Then you can apply that understanding to go back and look at how these discussions are subliminal dissemination. The most difficult part to overcome is you will not get corroboration. Realizing that lack of corroboration is further evidence of Hetlau directing the day to day actions of the Hextocracy is the only way to interpret what is really going on short of ETA disclosure. The key is ETS (CTV & Volutes) don't fly they vectate so the term UFO is inapplicable. The Hextocracy knows this and they continue to use the term UFO so you can't figure out what is going on. Simultaneously it gets you to wunder and think about the possibility that UFO are really ETS (CTV & Volutes). This is going to make ETA disclosure easier. That is why this is classic subliminal dissemination. It is that easy to understand and realize what is going on. An (article) was just published about UFO sightings in Montana. At least that is what you think you are going to get when you read the headline. Reading the article is just wasting more of your time unless you want to hear the same nonsense every day. They key which no one seems to be realizing is that people are naturally drawn to the term UFO and Extraterrestrial which allows other people to market information on that subject matter. Marketing info on UFOs and Extraterrestrials certainly isn't a bad thing but it also isn't going to solve anything. Ms. Bird is seen as credible because she is a scientist. The problem is that no one that uses the terms UFOs and Extraterrestrials can be seen as credible because they obviously have no idea what is going on or they are a HET performing misdirection and/or subliminal dissemination. It's just another day of precognition. Once you know Hetlau you know that ETS don't fly, they vectate . The term UFO is not applicable. ETS are called Celestial Tach One Vehicles (CTVs) & Volutes. Hetlau requires the use of the term HET so the term Extra Terrestrial is required and the term Extraterrestrial is not applicable. If you just understand that much you are way ahead of the game. Then you can look at the article like the one above and see why no one can figure out what is going on. That is a lot better than reading it and hearing the same general theme everyone has been listening to for the last 75 years since Roswell. What you have to realize is why would anyone who can earn money saying UFOs and Extraterrestrials or Extraterrestrials and UFOs change the terminology? The answer is they wouldn't. There is no money in saying HET and CTV or CTV and HET not to mention all the abuse you take each day by all the people who don't understand what is going on with UFOs and Extraterrestrials and keep saying you're wrong without actually spending the time researching what HET and CTV are. Then add to that trying to get them to sign a Extraterrestrial Disclosure Petition disclosing Hetlau and you can see why people just want to read the same old nonsense about UFOs and Extraterrestrials or Extraterrestrials and UFOs. People think they want the truth. What you realize happens though, is that when the truth requires change and that change requires effort combined with leaving the comfort of the social group, people really just want the same thing every day. What are your chances of seeing a UFO today? An (article) was just published showing what your chances are of seeing UFO today. This article is obviously going to be a complete waste of time, why? Because even though it may have some interesting statistics on what you're actual chances of seeing a UFO are, the problem is the term UFO. The article is just subliminal dissemination and you can tell that as soon as you hear the term UFO. Remember most people automatically subconsciously think ETS when they hear the term UFO but society has made the term UFO synonymous with ETS without realizing what that means and the effect it has on society. So when someone says what are the chances of seeing a UFO what everyone is thinking is what are the chances of seeing a ETS. Once you realize ETS don't fly they vectate so the term UFO is inapplicable. Then combine that with the realization UFOs are actually called CTVs & Volutes and you can see the article can't go anywhere as long as it is using the term UFO. That is the key to raising your awareness level from EAI to ETI so you can just glance at a headline and view it from both EA and ET perspectives. This way you will stay ahead of the disclosure curve and be able to focus on the key items that are actually going to inform you instead of just being trampled by the masses shouting UFO UFO UFO. Older video of the Blue Angles and a UFO sighting. At 1:10 in the video you can clearly see it is hovering not flying so it cannot be a UFO. It may be an ETS though. Viewers need to disclose themselves as EA and question whether the objects are flying or not in order to resolve the ETS phenomenon. HET live among us and the EA are not aware and do not identify themselves as EA when the sightings occur and are being filmed. ETS vectate they do not fly so the term UFO is inapplicable. Video of a recent UFO sighting near Rosarito, Mexico, 04/14/2018. This is almost identical to the sighing over Carlsbad, CA on 04/12/2018. They do not appear to be UFOs from the viewpoint they do not seem to be flying. Appears to be ETS for those reasons. It is interesting how multiple sightings occur on nights within days of each other along the southern California and Baja Mexico coastline where there are numerous military installations and the military says nothing about it. This is easily explainable. The military is really a Hextary and knows exactly what is going on. If there was something in the atmosphere and/or outer space and they didn't know what it was and it was a threat and they needed tax dollars to develop a solution you can be sure you'd be hearing about it immediately. The reason they don't like to get involved in this stuff is why should they waste their time and money trying to solve things that aren't the vehicles they are transiting back and forth to other planets with that will ultimately accomplish nothing by trying to figure out what they are. In addition, it will just open the door up to get the civilians to keep asking them to investigate more and more sightings. Once you know what is going on you can just see by there silence they are complicit. Notice how much you have to listen to them whine and cry about every country and terrorist threat on the planet so they can get money to fix those problems. The really sad part is when the EA wake up and realize they are having so many EA get killed and injured so they can facilitate their ET war on Earth. 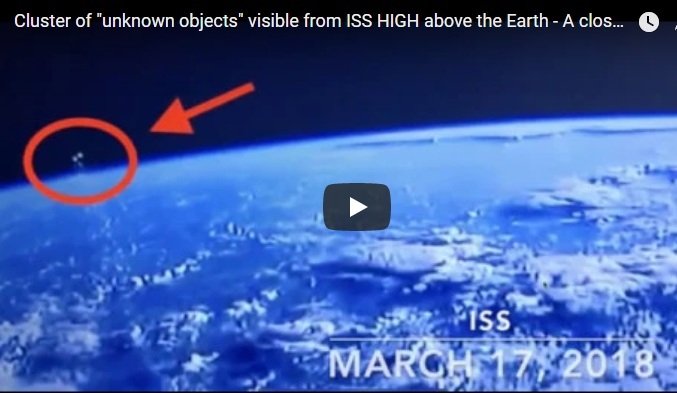 A recent (article) and video were released about a UFO sighting near the ISS. The video shows what appear to be blinking lights of some sort of spacecraft from around 1:12 to 1:25 in the video. It is difficult to say for sure what it is though. What is key right away to notice is that it is not possible to fly in outer space. Flying as defined by etufodisclosure.com is the repetitive process of maintaining forward levitation using energy by accelerating a winged planform through an atmospheric medium in compliance with Bernoulli's principle which generates lift allowing for levitation. The whole Ufology movement suffers from a lack of understanding of what flying is. If you cannot fly in outer space since there is no atmospheric medium from which to generate lift so the term UFO is inapplicable. The second problem is that even if civilians start using the correct terminology such as ETS they run into the problem the spacecraft may have been built on Earth and are EES or Earth Evolved Spacecraft. It is possible that Hetlau have shown us how to build the craft ourselves so you may not really be able to tell if it is from another planet or Earth. The key is the government, military, and NASA aren't going to help the civilians so until civilians stop using the terms ET & UFO and start using HET & ETS we will never accomplish anything. Civilians need to switch from the Fox Four aka Roswell UFO Protocol to the new Fox Five aka Miramar CTV Protocol. By communicating with higher level terminology and concepts the Hextocracy, Hextary, and Hexnasa will look uninformed (similar to how they have made the civilians appear uninformed currently) when they continue to use the terms ET & UFO. This will force them to start using the correct terminology and concepts and bring about disclosure sooner. A new (article) was published on the Top Ten UFO documents in the National Archives (UK). The operative word in the title Archives sums it all up. Aside from the top ten you could literally take every UFO sighting and place them there because that is where they belong - Archived! ETS vectate they don't fly so the term UFO is inapplicable. This is one of the reasons we have not had one confirmed sighting ever. You can't confirm a vehicle that is vectating is a object that is flying. An (article) was just published documenting strange lights over the San Diego sky Thursday 04/12/1963 night. Some people even claimed to see similar lights Monday night as well. Fox 5 news even reached out to the military but no one responded which isn't surprising. You can sit here and try to read the article and wonder whats going on but basically all this is is the same UFO protocol that has been going on since Roswell. So what is the civilian population doing wrong here? What they are doing wrong is they are allowing the military aka hextary to control the narrative by not saying anything or denying knowledge of what is going on. (The term Fox 5 comes from the TV station name as well as the terms Fox 1, Fox 2, and Fox 3 which are the terms military fighter pilots use to designate their weapons systems. Since the civilians have no weapons except their EAI the term FOX 5 protocol is as close as they're going to get right now to having one. Unfortunately, the civilian population does not understand this. They just want to follow the UFO protocol in place since Roswell which leads to accomplishing absolutely nothing except filling social media posts with more nonsense. If an actual individual at the news station tried to follow the correct FOX 5 protocol of interrogating the military from the viewpoint they are operating as a Hextary the individual would get fired, or possibly even worse. The may even be forced to seek psychiatric treatment for appearing to suffer from a delusional disorder and or schizophrenic break from reality. Who knows the military may even investigate them for violating some little known or even less understood law such as the patriot act but that is probably unlikely simply because the military wouldn't want to draw more attention to themselves, you never know though. If an outside individual contacted Fox 5 news and asked them why they are not following the Fox 5 protocol, the station would simply ignore the request for the reason that the individual appears to suffer from a delusional disorder and or schizophrenic break from reality. Other than that it will be one continuous UFO sighting followed by UFO protocol after another. Look on the bright side though, at least you found a site that can actually explain to you what is going on and why. Did Buzz Aldrin Really See UFO in Space, Pass Lie Detector Test? A new (article) is making the rounds asking if Buzz Aldrin really saw a UFO in space, and passed a lie detector. You can watch the video if you want but this one is easy to solve and can be done in a few seconds. What the EA refuse to deal with is that Extra Terrestrial Spacecraft (ETS) don't fly. Also since there is no atmospheric medium in space it is not possible to fly in outer space. Unfortunately, this seemingly minor oversight is not important to the EA and Ufology community. If the object is in the sky then it's a UFO. Who cares whether it is actually flying or not. Everyone thinks it is flying and everyone thinks you can fly in outer space so why be such a buzz kill and get technical about it. Hell, even Buzz Aldrin says UFOs are in outer space and he took a lie detector to prove it. The problem is because no one will investigate whether Hetlau they don't ask Buzz if he is a HET. Since they don't understand what flying is technically they don't think to inform him ETS are not UFOs and you can't fly in outer space. So he gets to just sit there and perform classic misdirection and subliminal dissemination and no one is the wiser. Then convert D = E and R = S using proximity. Because this story is definitely Alien BS but the public simply do not want to understand Flying so they succumb to the Alien nonsense every day. Proximity is a wormation process where change a letter to another letter that is in close proximity to it. For example, if you take the word ANGELS and change the letter G to the letter I which is 2 characters in proximity from it (G H I) and then respell the word as an enagram you get ALIENS. It is these little tricks that violate the laws of English that allow them to place their hidden messages on the planet and the EA won't pay attention to it because they want the answer to appear in plain in English. No one is thinking ET may not speak English and you may have to translate. In summary, a lack of understanding of what flying is combined with a completely incorrect technical use of the terminology UFO. Then add to that no one pays any attention to Hetlau, they can't read the names of the people involved, and they won't look for the hand gesture. This is key to seeing what is going on and is another example of the repeating patterns that reveal a preponderance of evidence in the absence of corroboration. If you pay attention to the mainstream Buzz saw a UFO and passed a lie detector and another day has passed some more misdirection and subliminal dissemination occurred and other than that absolutely no progress has been made by the civilian public to get disclosure. 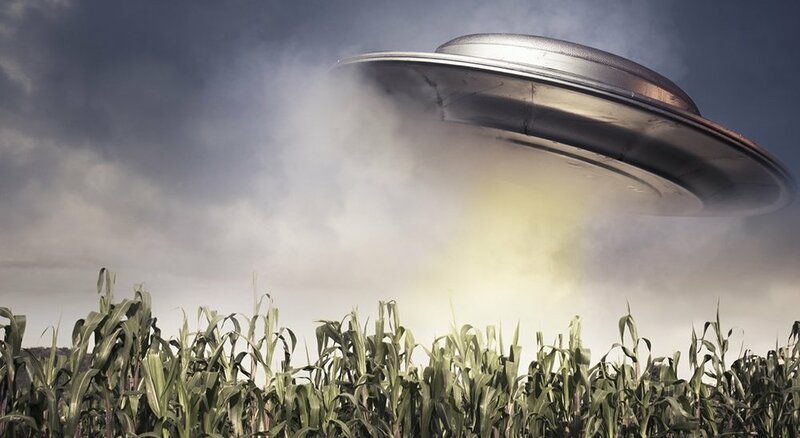 An (article) was just released where U.S. Sen. Jeanne Shaheen was asked for her thoughts on a spate of news stories about recent military and civilian encounters with unidentified flying objects that supposedly have capabilities well beyond advanced fighter planes. This doesn't take a whole lot of analysis to see what is really going on here. There are only two possibilities. Ms. Shaheen and the entire government and military are not smart enough to realize ETS have had, continue to have, and will have for the foreseeable future air supremacy over Earth. Ms. Shaheen and the entire government and military are smart enough to realize ETS have had, continue to have, and will have for the foreseeable future air supremacy over Earth. Once you realize Hetlau exist, are at war with EA, and enslaving them, option two becomes a lot more obvious. HNFS would have you hoping it is option one and they just aren't smart enough to figure out what is going on but once you pay attention every day it is quite obvious they do. What is unfortunate is that no one in the UFO community has realized what is going on and asks the tougher questions at these news conferences. Instead of pointing out that these vehicles have higher performance capabilities than EA fighters, EA need to realize the overall concept of air supremacy and how Hetlau are using these news EvenTs as subliminal dissemination. This also a good example to see that Ufologists as a whole don't have a solid background in flying and military strategies and tactics. Instead, they have spent the last almost 75 years becoming trained to just say UFO UFO UFO and never really accomplish anything. ETS clearly have nothing to do with Flying and everything to do with Military strategies and tactics that occur at a higher level of understanding than anyone currently speaking publically about them has. 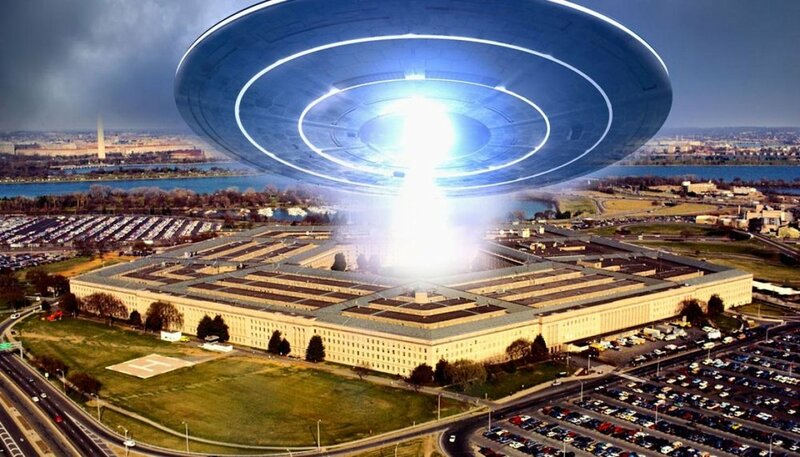 A new (article) just came out Titled "It’s time to stop laughing at UFO research". As usual, the answer is right here at etufodisclosure.com. As the only site on the Internet who is documenting Hetlau, their war against the EA, and their enslavement of them this is by far the most forward thinking / imagine the unthinkable or imagine the unimaginable site out there. In fact, what usually happens is it is so forward thinking it is simply too much for most individuals. This UFO sighting over Busan, South Korea is starting the make the rounds on the internet. It is difficult to tell if it is an Extra Terrestrial Spacecraft (ETS). Quick take it is difficult to make out what it is as with almost all UFO videos the quality is poor. At moments when they zoom in it does not appear to have wings though. Although it is moving quickly it's flight profile does not appear to be any different than that of an Earthborne vehicle is capable of. 5. The video does not provide enough detail to make a conclusive decision as to what it is. Regardless no one is asking if the vehicle has wings and as such is it flying? Until that single point becomes a mainstay in UFO analysis of each incident and people realize the term UFO does not apply to ETS little is going to change. This video was just released showing an object off the wing of a commercial airliner. 5. No one points out that Extra Terrestrial Spacecraft (ETS) do not Fly, they vectate (vectored levitation), also they do not leave contrails. This object appears to have a contrail but it defies winged flight. Also as it climbs through the cloud and turns 180 degrees the contrail appears to remain perfectly intact. This is not consistent with ETS, or Flying objects either. Regardless of what it is the key is to stop calling everything a UFO and try to analyze the flight or lack of flight characteristics of the object/vehicle. Whether you get it right or wrong is irrelevant. At least your are elevating your awareness level and getting society to discuss these sightings at a higher level of ETI or Extra Terrestrial Intelligence instead of remaining held back using the term UFO. This video has just been released. Depending on the analysis it is described as a cluster of unknown objects or 3 bizarre flying objects. You can see them in the red circle in the shot below. 5. No one points out that you can not fly in outer space and thus the term UFO does not apply to Extra Terrestrial Spacecraft, nor these objects. 6. No one points out that Extra Terrestrial Pilots maneuver in three ship formations known as a Tactical Vee. EA military pilots maneuver using a two ship SOP aka two ship conversion tactics and do not understand, or at least will not publically declare, they understand how three ship compression tactics work. Now that you have stepped back from the event and realized the new pertinent information are you discussing it using the appropriate terminology? Hetlau, Hextocracy, Hextary, HET, CTVs, Volutes, Tactical Vee? Are you up to speed on why society can't figure out what is going on simply because they won't stop using the terms ET and UFO? Sort of like Roswell in Austrialia. It seems every country has its own most significant UFO story to tell (article). They key is to not become fixated like all the other people involved in and reading about it. What you realize studying the people not the story or sighting is that they are essentially trapped in time in their inability to elevate their awareness level as to what is going on on Earth. People in the US have hardly made any progress since Ken Arnold had the first major UFO sighting. In the US there has been almost no significant change. Recently highly trained military pilots videotaped a UFO and with their multi-million dollar training the best we got was "it looks like a tic tac". They weren't even able to ascertain that due to it not having wings it is not flying which is a telltale sign of it being a CTV or Volute vectating. Though they did ironically issue a warning claiming they felt ET may be hostile (article). They key is to step back and look at where all this is going instead of stepping back and reminiscing about what happened. Where is all this going? It is leading to ET and UFO disclosure just like the website you are at is called etufodisclosure.com. The key is that ET and UFO disclosure is really going to come in the form of HET and CTV disclosure. The problem is that society refuses to elevate their awareness level as to what the new terminology is and the concepts that they mean going forward. Instead, everyone who is not aware of what is going on continues to allow the terms ET and UFO to act like weight belts to a diver or ballast in a balloon. In order to elevate your mind, you can use the analogy of needing to go higher. 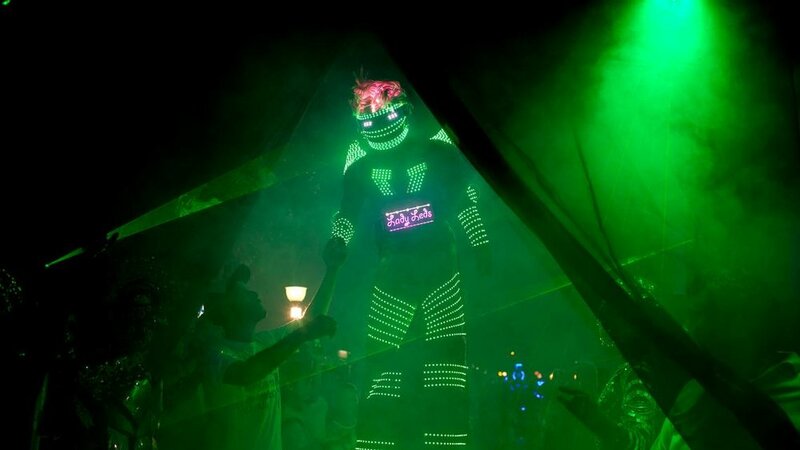 Just like removing the weight belt and ballast will allow the diver and balloonist to go higher, releasing the terms ET and UFO will allow you to elevate your awareness level. This doesn't mean you will never use them again but you need to look at them as a step on a ladder and you need to climb up to the next step, HET and CTV. You could think of it as disclosure is simply going to replace ET and UFO with HET and CTV. Obviously, disclosure will include more than that but if you are going to realize disclosure before it happens you have to embrace those terms now. The other concept that is critical to understanding what is going on is looking for repeating patterns that provided the preponderance of evidence. You can see in this latest rehash of the Austrailian UFO sighting that the people follow the same process of just going back and reviewing it. That is the first clue or pattern that should alert you to not waste time on it. If they are reviewing you are talking about history and disclosure is going to involve the future. Another pattern that you will occasionally see is they describe the UFOs as occurring in a group of 3. This is key because ET pilots operate using three ship compression tactics aka a Tactical Vee whereas EA pilots operate using two ship conversion tactics. Being aware of this helps to alert you to the increased probability that there were CTVs or Volutes present since they were described in a formation of three. So if you are intent on understanding what is going on Earth and obtaining access to disclosure before it happens the path you need to follow is laid out for you. Reading these UFO stories and sightings need to be done in a context where you are analyzing the people talking and what they are talking about while not becoming drawn into the story itself. Try to notice how they are not really accomplishing anything and are rehashing legacy information. Then keep an eye out for those repeating patterns that provide a preponderance of evidence. Also stay up to date on the terminology and concepts discussed here on etufodisclosure.com. Primarily knowing what HET, CTV, Volute and Tactical Vee are. Also be proactive, make sure you have taken the time to sign the disclosure petition. Notice there are two URLs that lead to the same form. DiscloseETUFO.com for people who are still in legacy mode and DiscloseHETLAU.com for people who are aware that Humanoid Extra Terrestrials Live Among Us (HETLAU). Once you have signed the petition make sure to ask others to sign it as well. If you want disclosure and aren't willing to ask for it it's going to be difficult to get it unless you just want to wait for the Government and Military to tell you on their timeframe and their agenda of how much information to release.